“I’m just warming up…” says Mark Watson, lightly jogging on a treadmill, as the audience file in and attempt to find a seat at a sold-out Pleasance One. This fairly pedestrian wordplay embodies the endearing personal style that has made Watson a firm favourite among comedy fans, throughout the 10 years he has been appearing at the Fringe. A few things have changed for Watson in that time, and he makes a solid introduction out of it. Firstly of course, some of the comedians he worked with 10 years ago have gone on to be slightly more successful than him (“wildly more” as he tells this capacity crowd). Secondly, he never gets ID’d any more. And finally, he has grown to realise how flawed he is as a human being. While onstage Watson looks, and has always looked, wired with nervous energy, as if everything could go wrong at any moment. Oddly paired with this nervous energy is an unparalleled confidence to be himself, to bare his neuroses in front of 400 people with no character or grand act to hide behind. A low-key, intimate preamble leads to an explanation of Watson’s inability to please people in the ways he would like, often making awkward situations much worse in an attempt to do the right thing. He talks over situations that we have all been through, and his unusual reactions to them, and the audience gain an insight into the turmoil within Watson’s anxious mind. As a lady in the front row struggles to follow one of his more whimsical tangents, Watson stops, faces her and nods saying “Imagine being me – it’s awful!”. The show takes on a darker edge as Watson talks about a period of depression and heavy drinking, culminating in a traumatic experience at a Thomas The Tank Engine film premiere – which he recreates in the venue with the help of the audience and a frankly silly amount of props. Watson realises he needs to change when his family, a counsellor, and lastly a “crazed Tim Minchin fan” (they can be intense…) all tell him to make some life adjustments. He over-thinks every trivial decision or situation he is faced with, he personifies his own routines as living, breathing entities, and he takes his odd humorous thoughts to sometimes ridiculous extremes – and while this probably makes Watson hell to live with, it makes his gigs a fantastic experience. 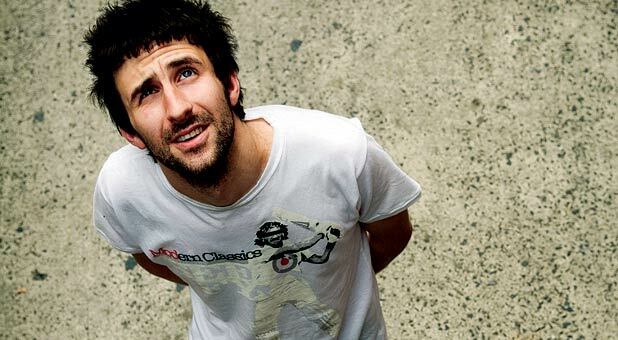 Of course, he sought out the help he needed and made the changes he needed to make, and now Mark Watson is back onstage to discuss being a flawed person, like everybody else, and to reassure us that a flawed human being is still a pretty good thing to be.